3D Design Bureau | Teach Your Kids To Make Their Beds To Help Change The World! 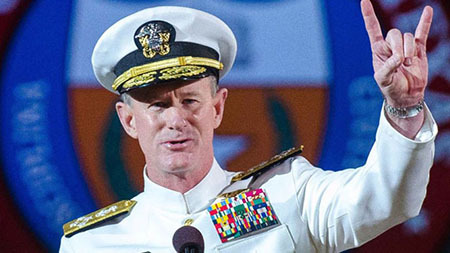 A few years back I came across a video of Navy Admiral William McRaven who gave a speech to a group of graduates from the University of Texas. A former student of the university, and now a highly decorated Navy Seal, he had some words of wisdom for the 8,000 students that evening. ‘What starts here changes the World’ is the slogan of UT and was the theme of his speech which had 10 key life lessons to take away. To this day I still draw on these lesson in both my personal and business life. What I love about them is that each one can be drawn upon at different times in your life and during the dark days of the recession one or two of them were never far from my thoughts. Ok so it may be a little too soon for me to expect my 3 year old to make his own bed, but teaching him important lessons can never start too early. So teach your kids to make their bed, it could be one of the building blocks for them to change the world in the future.